The iFun 13 is a modern wing, designed to provide maximum flight pleasure while maintaining simplicity of ssembly, operation and maintenance. Its speed range from 41 to 110 km/h allows you to travel and land on a dime. Thanks to its dual surface pressurized to 40%, low twist, a perfect cut, this wing gives performance to rival many internal cross wings! Kevlar reinforcements, UV-ray protected Trilam fabric, minimal weight (31 kg or 68 lbs) and maximum strength (+6 /-3g to 250 kg or 550 lbs!). Are standard! In flight, one can only marvel at its playfulness, its stability and resistance in turbulent conditions. 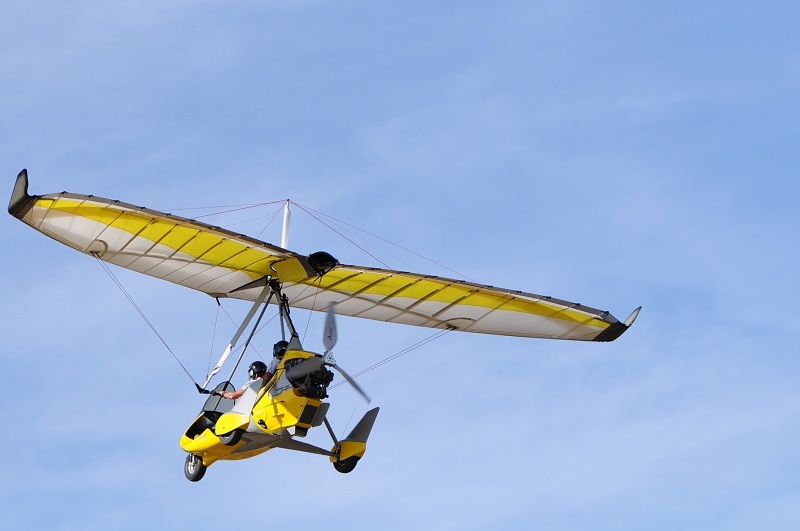 Combined with our new trike the Pixel, it will make you rediscover the pleasure of the Ultralight Flight.